Remember when your trusted family physician was available for house calls at any hour of the day or night? 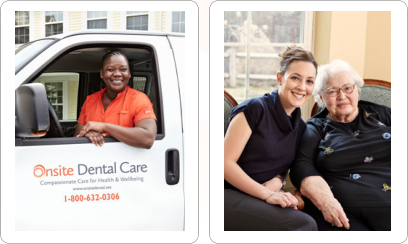 Like the “house calls” of previous generations, our trusted teams of dental professionals are invited in to serve the residents of New England’s assisted living communities. That level of service is nonexistent today except with Onsite Dental Care. Our team works closely with your family to eliminate all the stress that comes with coordinating, scheduling and transporting your loved one to and from dental appointments. 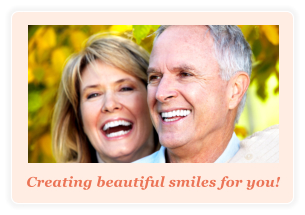 As the Director of Regional Operations of Onsite Dental Care, I encourage you to consider our dental service for your loved one. New medical research shows that services like ours are an important part of health and wellbeing for our loved ones. 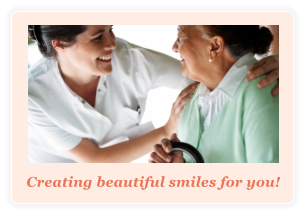 Most importantly, we are dedicated to both preserving the oral health of residents of assisted living homes and helping the caregiver breathe a little easier. Please feel free to call me with any questions you may have at 1-800-632-0306. To download patient forms to prepare for an appointment: please click here. 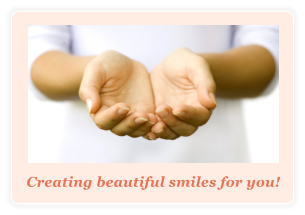 Compassionate dental care for your loved one, peace of mind for you.